An award-winning actress and long-time sitcom mom Patricia Heaton has been a comedic household name for years. 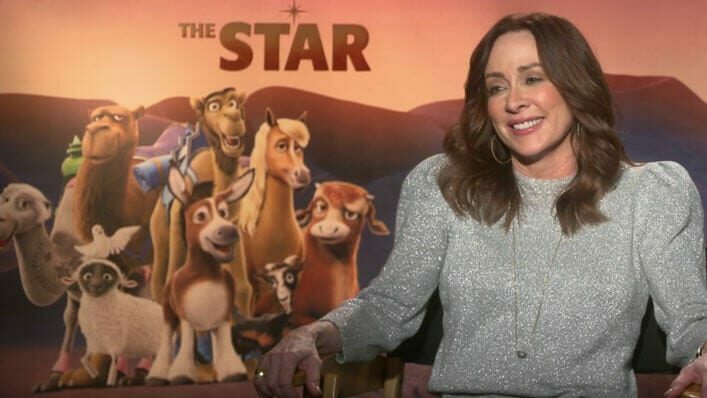 Though she’s best known for her roles on Everybody Loves Raymond and The Middle, Heaton recently teamed up with a slew of big Hollywood names to create a Christmas movie like no other. This holiday season, Sony Animation Pictures presents THE STAR, an animated flick that tells the story of Jesus’ birth from the perspective of the animals who were there to bear witness. In the film, Heaton plays a cow named Edith, who she describes as a character who’s just a little too old and a little too tired to be concerned with all of the excitement surrounding the nativity. But things change when she gets this incredible surprise, that is the star! But it turns out that her role as Edith the cow isn’t Heaton’s first rodeo when it comes to animals. In an interview with Kathie Lee Gifford and Hoda Kotb on the fourth hour of TODAY this week, Heaton turns the conversation from her role playing a cow to the many ways people at home can purchase cows this Christmas for an incredible cause. The founding member of World Vision’s Celebrity Ambassador Network, Heaton reveals that one of the best ways viewers can give back this Christmas is by gifting a cow (or a variety of other animals) to a needy family around the world. Reflecting on her time spent in Zambia with the organization two years ago, Heaton shares the story of a woman who received goats from the organization through donations from people like you and I. As a result of our gift, the woman was able to generate money for her family by selling milk and cheese from the goats, which catapulted her family into a better future. Heaton’s partnership with World Vision is near and dear to her heart. Visit WorldVision.org to learn the many ways you can give the gift that keeps on giving this Christmas. And be sure to check out THE STAR, playing now in a theater near you.